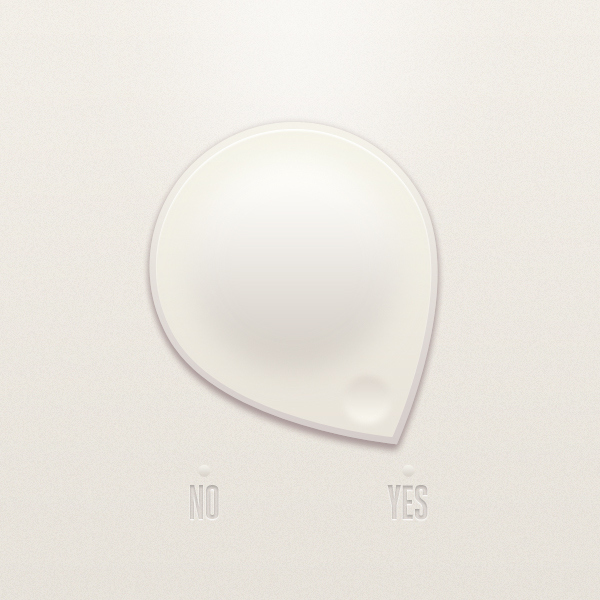 A series of interfaces offering a choice between yes and no, which are the hardest decisions we face every day. Each interface represents a different unique interaction, atmosphere and story. 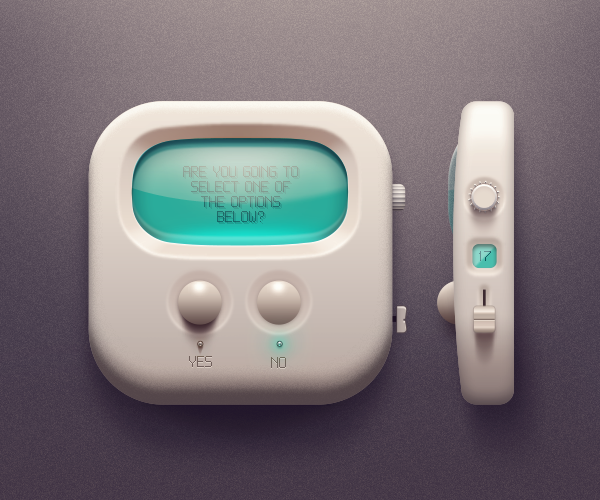 These interfaces were originally published on Dribbble. This one contains a question which is actually a logical paradox, particularly a variant of the Liar paradox. The paradox applies only if the answer to "Are you going to select one of the options below?" 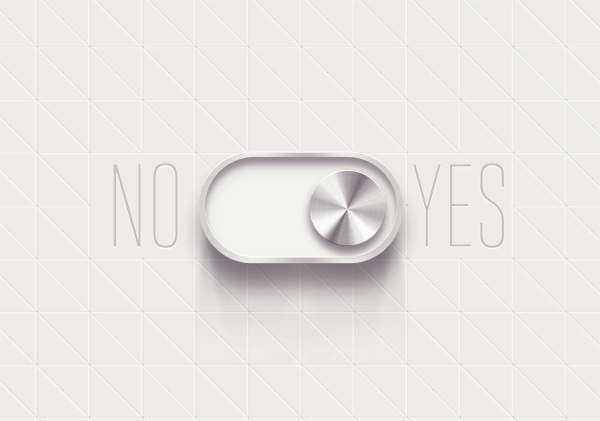 is "No", by making a contradiction between the meaning of "No" in this context, and the actual act of answering to this question. 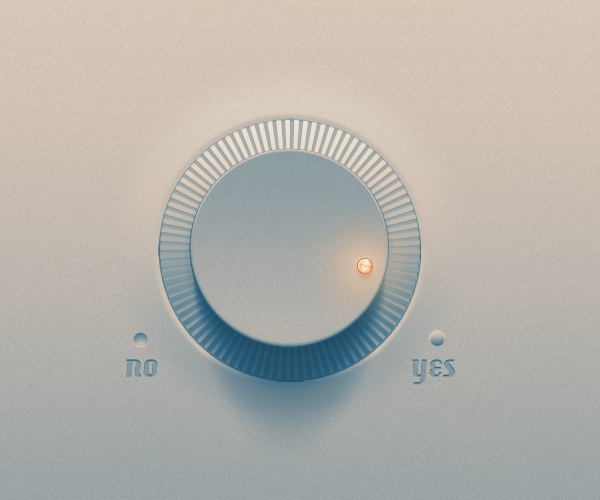 Here, I represented yes/no as continuous, not binary. 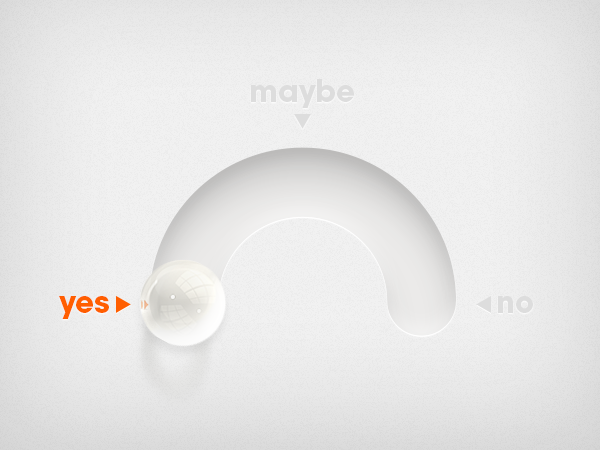 Somewhere in between comes "maybe", and so on. This interface allows you to navigate with your finger on the notch and confirm your selection by clicking in the middle. Intended to be very soft looking, as well as soft on touch. Again, a continuous representation of the yes/no choice.